Families of Down Syndrome Children research papers look at case studies of various victims of down syndrome. 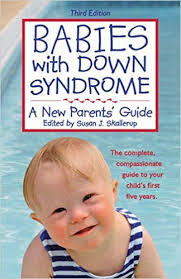 This is a topic suggestion on Families of Down Syndrome Children from Paper Masters. Use this topic or order a custom research paper, written exactly how you need it to be. Families in which there are Down Syndrome children have special and often conflicting considerations each day of their lives. From the time a Down Syndrome baby enters the household with other siblings, there are often tensions not experienced in families without special-needs children. This can involve everything from resentment from the other siblings to the extra attention given to the Down Syndrome child, to embarrassment with peers and others. How the need for lifelong care of a down syndrome family member interfaces with the siblings’ normal and expected lifestyles, especially when those other siblings marry and begin raising families of their own. The Research Paper focus will be on the interactions between “normal” siblings and their Down Syndrome brother or sister. Thus, the research paper's main research question will deal with coping, understanding, and other socio-familial matters that arise through the growing years and how they continue through adulthood. What, if any, long-lasting difficulties does the sibling cause for the others? Is it different for families in which there is only one other sibling? Are there serious emotional issues for other family members – including the parents of the Down Syndrome child? These are the main areas of concern for this research paper. As noted in the previous section, this research paper seeks to elicit data and case-study, anecdotal evidence focusing specifically on Down Syndrome families and their special considerations. The research paper will shed a great deal of light on this issue through the literature review, as well as present cases that illustrate the social effects on families, from their internal relationships within the family structure to those in the microcosm (other family members and friends), and the macrocosm (society in general as it relates to the other siblings. Another important area is the bonding that does or does not occur among non-Down Syndrome family members, with examples from both perspectives. Asperger Syndrome Research Papers enlighten educators on the signs and symptoms of asperger syndrome. Munchausen Syndrome Research Papers research this syndrome as a form of child abuse, and gives characteristics of the parents who have it. Tourette's Syndrome Research Paper explores the symptoms of this disorder. Wallenberg's Syndrome Research Papers discuss this neurological disorder and its characteristics. Down Syndrome and Autism research papers discuss how often Autism and Down Syndrome are confused by people outside of the medical community. Florence Nightingale Syndrome essays examine the name given to caregivers that develop romantic or sexual feelings towards a patient. Symptoms of Marfan Syndrome Research Papers examine the six basic areas that are impacted by this genetic disorder. Marfan Syndrome Research Papers discuss how this disorder develops and other causes of this disorder. False Memory Syndrome Research Papers delve into research on repressed memories of childhood abuse. Sudden Infant Death Syndrome Research Papers delve into the factors that cause this disease in infants. Metabolic Syndrome - Metabolic Syndrome research papers examine the medical disorder characterized by at least three of the five following symptoms: abdominal obesity, elevated blood pressure, elevated fasting glucose, high triglycerides, and low HDL cholesterol levels. Chronic Fatigue Syndrome - Chronic Fatigue Syndrome research papers examine the debilitating condition that affects adults and children with persistent fatigue that can last three to six months. Speech and Down Syndrome - Speech and Down Syndrome research papers examine problems with down syndrome children for educators. Charles Bonnet Syndrome - Charles Bonnet Syndrome Research Papers delve into the symptoms of this psychological disease. Bipolar Syndrome - Bipolar Syndrome research papers examine the components of bipolar syndrome. Causes of Autism - Causes of Autism research papers examine the theories on what causes autism in children. Paper Masters writes custom research papers on Families of Down Syndrome Children and look at case studies of various victims of down syndrome.